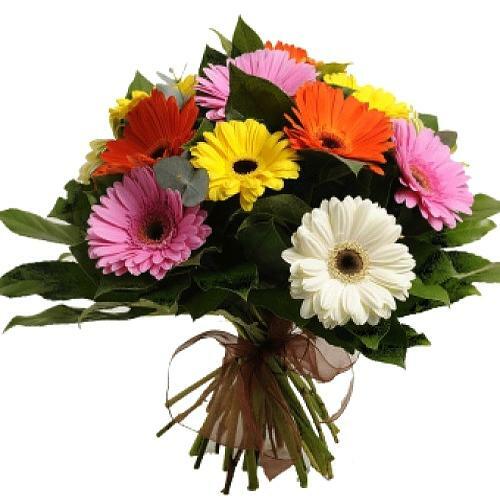 Item Description : Pour the feelings of your heart into this Tantalizing Energy Booster Gift Treat to make the recipient of this gift realize your intense love for them. 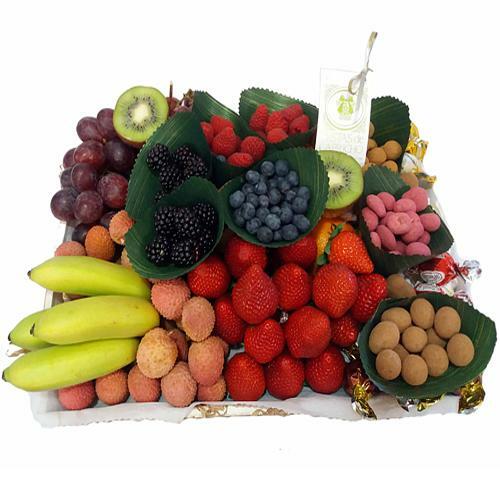 This popular Gift Hamper is introduced with Baby Pineapple, Cherries or Prunes, Strawberries, Moras, Raspberries, Mangos, Bananitos, Grapes, Rambutan, Apricots and Phisalis. The Net Weight of the Fruits is approximately 7 kg. 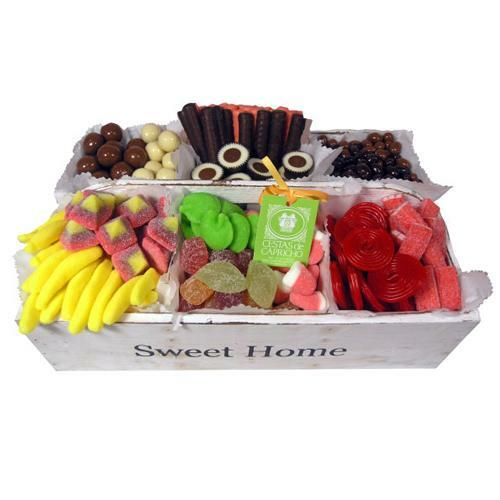 These all are brought to you in a wonderful looking White Wooden Tray with 3 Compartment. Gift someone you love this Freshly Plucked Heart Winning Fruit Basket to steal his/her heart. 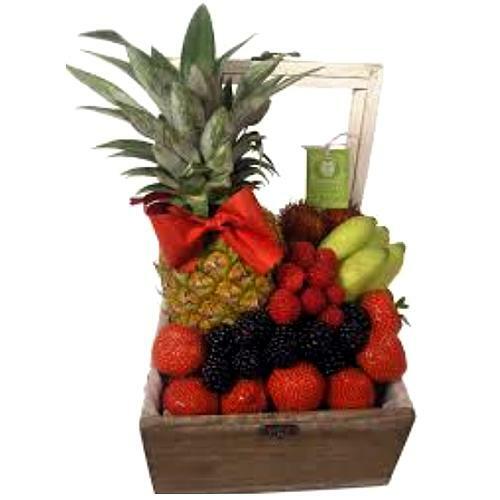 This Fruit Basket is loaded with Pineapple, Fresones, Bananitos, Moras, Rambutan and Raspberries. It is perfectly stuffed in a Wooden Box supported with a Glass Lid. This Fruit Basket weighs about 3 Kg. 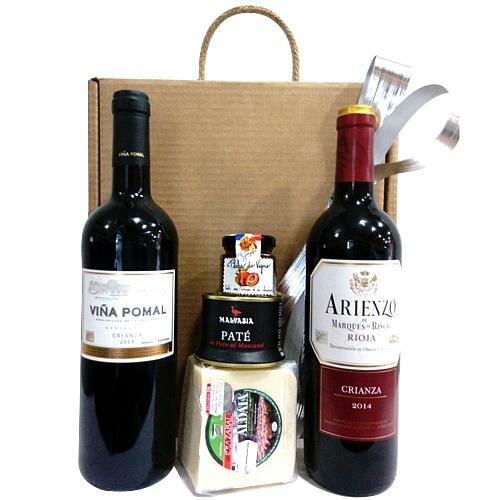 Order this Gourmet Gift Hamper with Seasons Greetings for your loved ones to fill their hearts with happiness and your love. 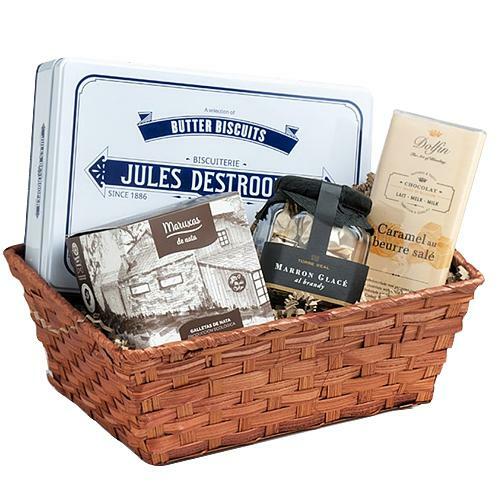 This Christmas Hamper holds 350 gr. of Jules Destrooper Tin Retro, 200 gr. of Maruxas de Nata Craft cookies, 70 gr. of Dolfin Chocolate with Milk, Caramel and Butter with Salt and 200 gr. of Torre Real Marron Glace brandy.